Publish[ing] a position statement opposing the practice of community water ﬂuoridation (CWF) based on its impact on thyroid hormones, interference with glucose and calcium metabolism in susceptible populations, and general capacity for endocrine disruption. Send[ing] a copy of that position statement to the National Toxicology Program in North Carolina with a cover letter that reminds them that the impact of hypothyroidism on the developing brain might not be scientiﬁcally categorized as neurotoxic but that medical fact is a distinction without a difference. We recognize the American Thyroid Association (ATA) as the world’s leading organization ‘devoted to thyroid biology and to the prevention and treatment of thyroid disease through excellence in research, clinical care, education, and public health.’ We appreciate the ATA values that include, ‘scientiﬁc inquiry, public service patient advocacy, education, and ethical conduct.’ We are writing because it is time for the ATA, in keeping with its mission and values, to openly advise the American public of what many physicians have been privately advising patients behind closed doors for decades, that drinking ﬂuoridated water is harmful to thyroid health. We believe it is unconscionable for this professional association to stand by silently while ﬂuoridation advocates in the American Dental Association, American Medical Association and the American Academy of Pediatrics continue to aggressively market ﬂuoridation as a dental panacea by distorting medical facts and denying recent scientiﬁc studies regarding endocrine disruption. 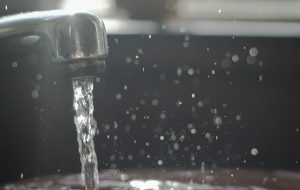 We believe that the political lobbying of ﬂuoridationists who are increasingly attempting to mandate ﬂuoridation at the state level, as they have done successfully in over a dozen states already, including California, Connecticut and Arkansas, will invariably increase the burden on those already ill with thyroid and other endocrine disorders, as well as increase their numbers substantially. We believe that the examination by the National Toxicology Program (NTP) into the science indicating ﬂuoridated waters are neurotoxic to fetuses and young children, although commendable, may be too limited. We know that exposure to ﬂuoride lowers thyroid function, and that even subclinical hypothyroidism during pregnancy and childhood can and does result in lowered IQ, learning disabilities, and other psychomotor deﬁcits, whether or not ﬂuoride is characterized as “neurotoxic.” We suggest the ATA go on record with this medical fact sooner rather than later. Although the public comment period to the NTP on this topic closed January 8, 2016, we suspect the ATA will be able to provide a comment past that date. We believe that the science published in 2014 and 2015 is sufﬁcient on its own to recast artiﬁcial ﬂuoridation as a public harm rather than as a public good. Consistent with science dating back a hundred years, recent science conﬁrms that community water ﬂuoridation is medically inadvisable for thyroid patients and most, if not all, of the population. We are attaching supporting resources to the end of this letter for your convenience. headache, sinusitis, bleeding gums, pain in the left hand – side where they were implants, problems with vision, problems with memory, great fatigue, without energy, pain in the area of implants, gastro problems. Doctors in my country said that they can’t take out titanium implants safety and that I will have problems with bone after operation. But I investigate a lot again and I got a lot of information from all the world. Some information was useful some not like in every case. But I had lucky again and I got contact about Dr. Shumantov. In my health story I met more that 300 doctors from around the world but I can say that Dr. Shumantov is one of the best doctor and person which I know. He operates in USA and couple of time every year at Europe. I decided that I go to Sofia where he operates in Europe. I was very happy with his professionalism. He told me everything about titanium and what he will do, before operation and I was shocked how easy he removed 3 titanium implants with reverse system. All 3 implants took out in 40 minutes. After that he put new bone material and I come every day to control. After 7 days I go back to my country. Now after 8 month I can tell you: My only mistake was that because of my scary what doctor in Slovenia said, I didn’t take titanium implants out before. In the meantime they disappeared almost everyone my problems which I had before that operation. No headache, no sinusitis, no bleeding gums, no pain in the left hand – side where they were implants, no problems with vision, no pain in the area of implants. It is truth that I still have some energy and tired problems but I think that my body after all problems with amalgam and titanium need more time to recover. Maybe some problems will stay but 8 year ago my life was vegetation; today I got 80 % my life back and totally new way of life. My next part of operation is put zirconium implants in. My story was broadcast on Slovenian TV. I wish that all of you can solve problems with health and especially with teeth. And believe me: Dentist can destroy your life. If you wish more information and contact of Dr. Shumantov you can contact me. Thank you! I stumbled upon this letter while browsing for a biological dentist in my area. Are there any updates or positive changes following this letter? Not that we’ve heard of yet, unfortunately. Have we received any response from the ATA since February, 2016? We’ve still had no word of any response. The ATA is as silent as the tomb – even to private follow-up contacts from this group and others. That said, although there has been no official response, rumor has it that ATA leadership is aware of the science and acknowledges its validity but as an organization are too timid to make a peep for fear of an assault on their credibility by the well funded fluoride lobby who has captured not only the American Dental Association (ADA) but also the American Medical Association (AMA) and American Academy of Pediatrics (AAP). That group specializes in denigration of fluoride opponents. In other words, for the most part our medical establishment is made up of bullies, shills and cowards. Kudos to the IABDM, Holistic Dental Association (HDA), American Academy of Environmental Medicine (AAEM) and International Academy of Oral Medicine and Toxicology (IAOMT) for having the scientific discipline, professional integrity and personal courage to protect people instead of prestige and paychecks.